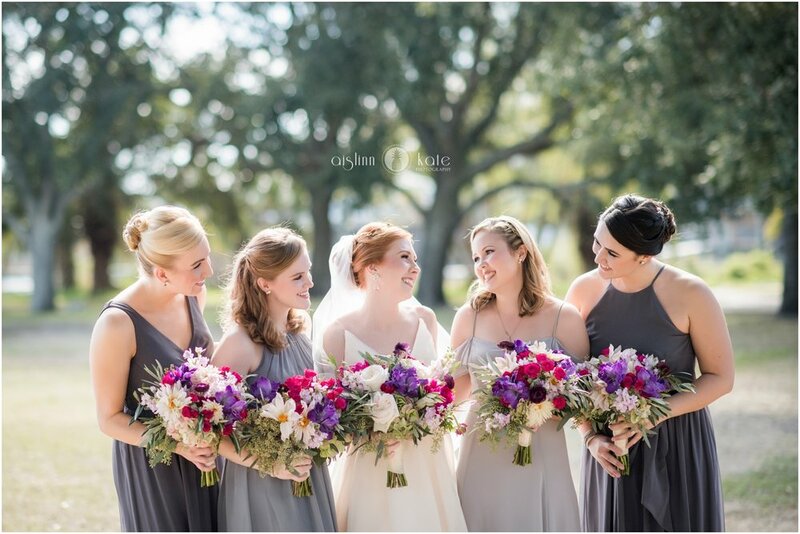 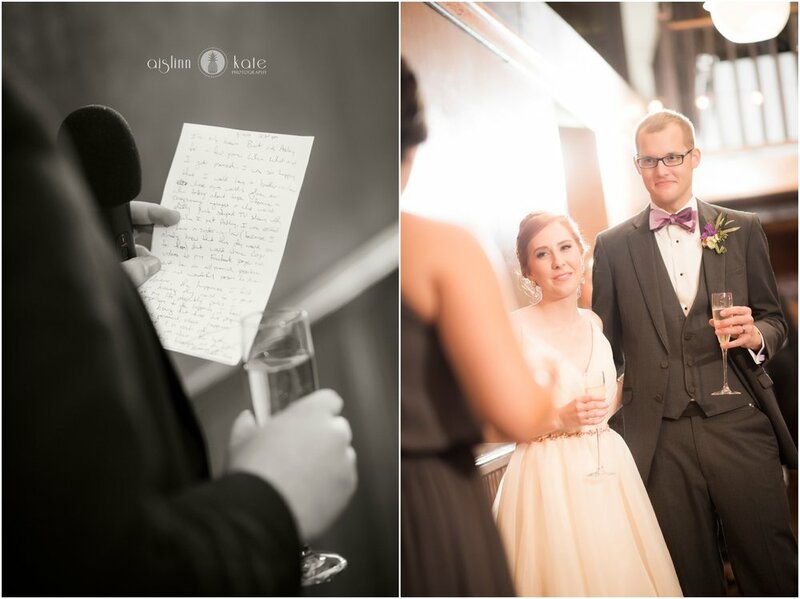 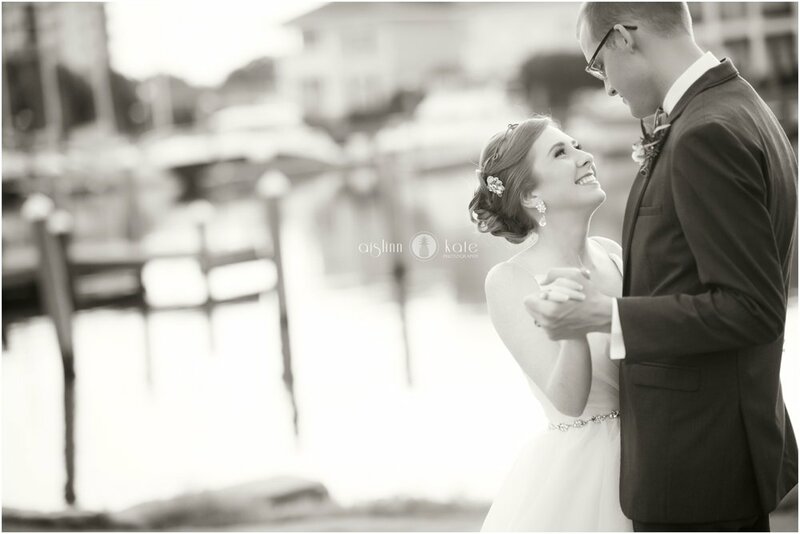 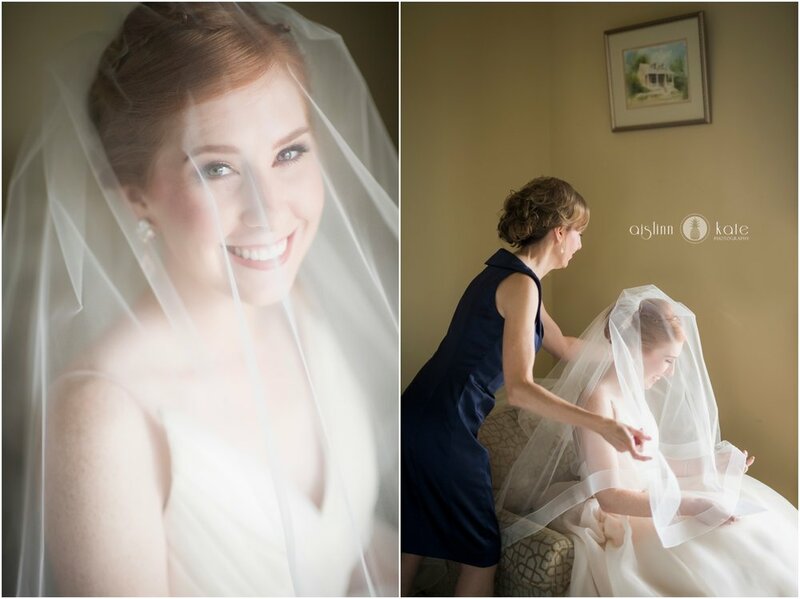 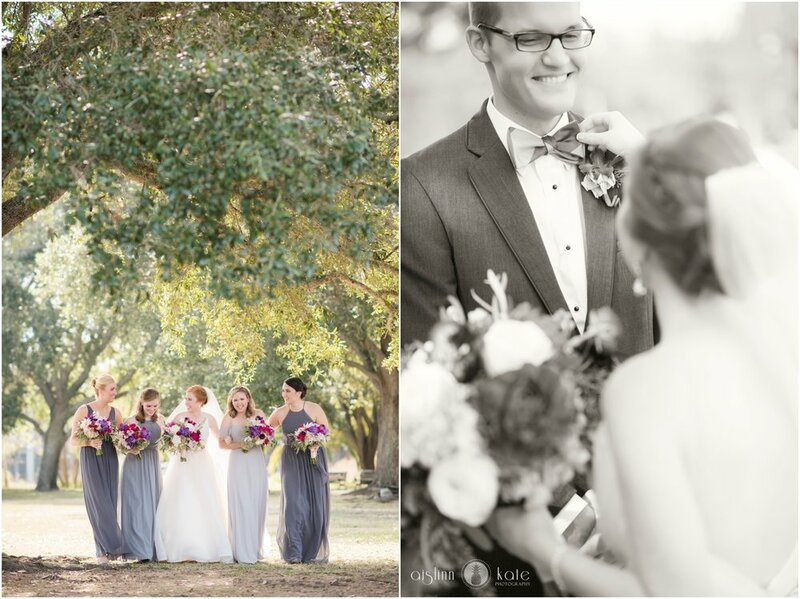 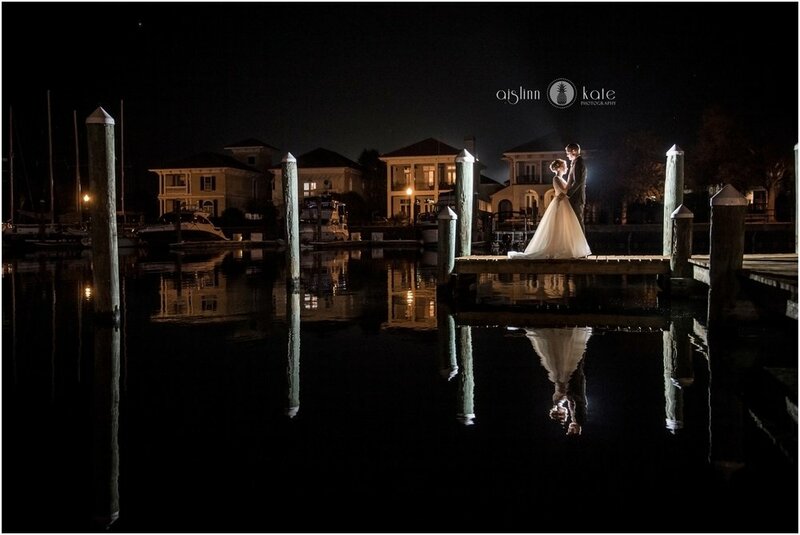 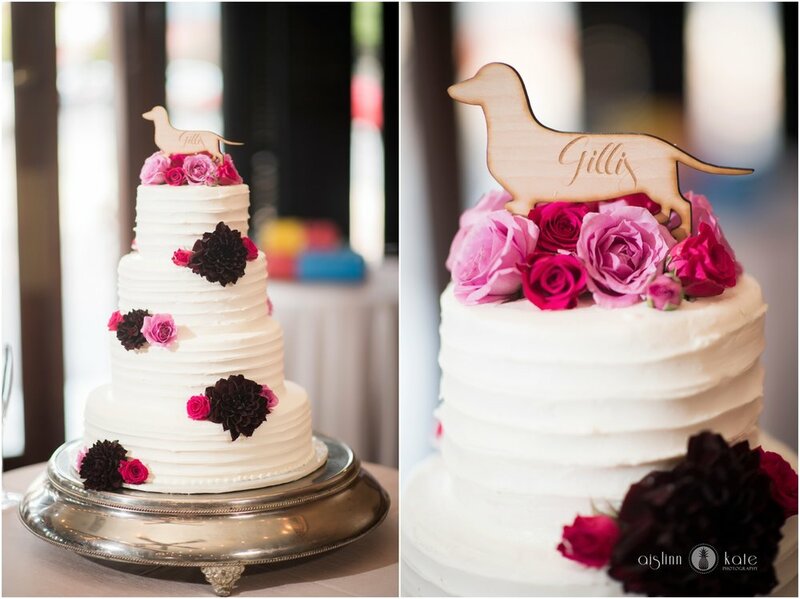 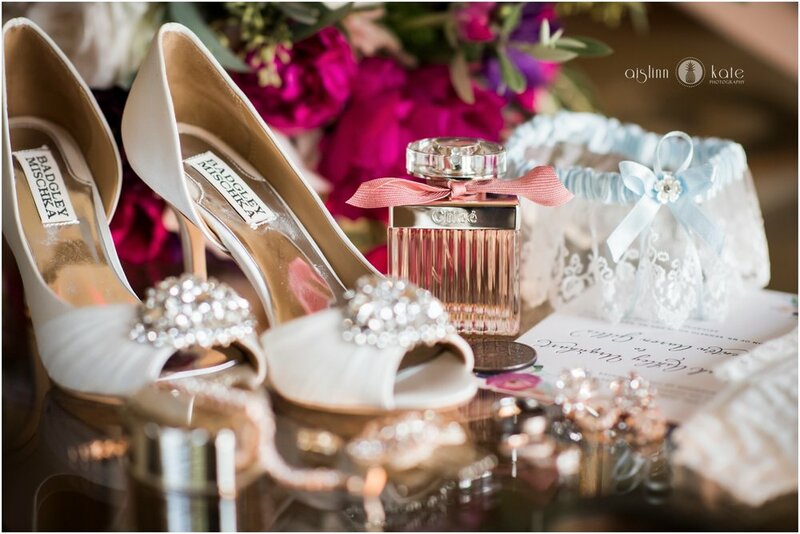 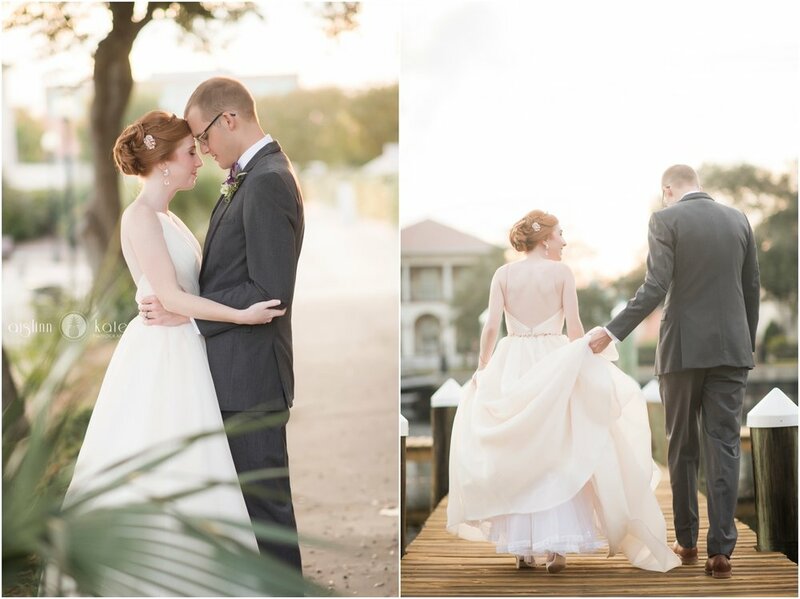 Ashley and Brent’s downtown Pensacola wedding is stunning. 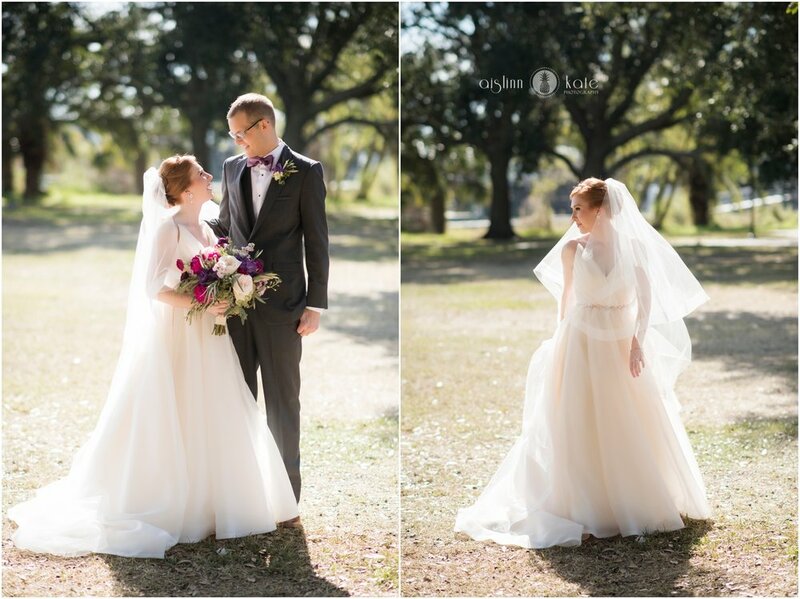 Ashley chose subtly fall colors – deep pinks and blushes and the prettiest magenta – so everything felt perfectly “November” without using stereotypical oranges and yellows. 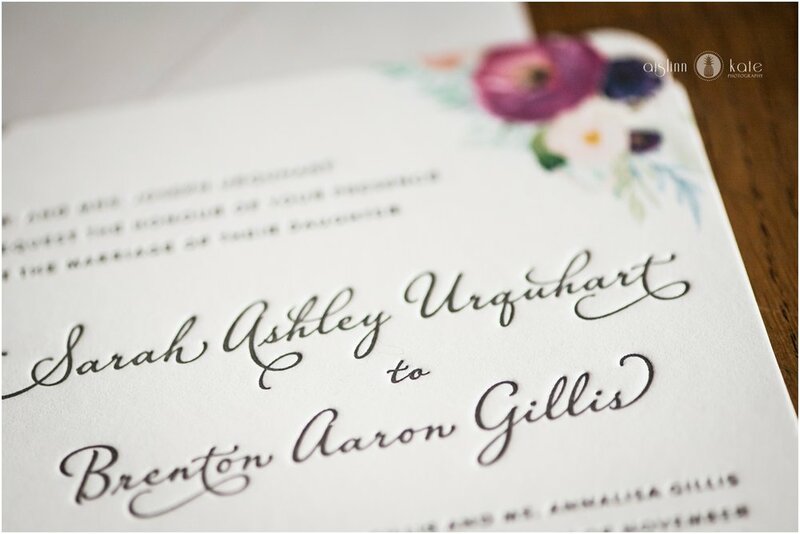 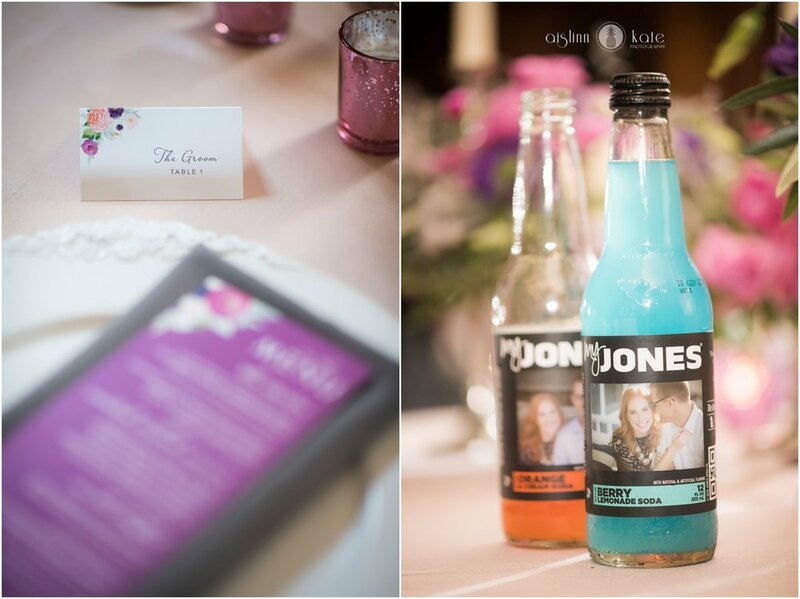 A watercolor floral bouquet logo appeared throughout – from the invitations, to the menus, to the wooden sign welcoming guests to Old Christ Church. 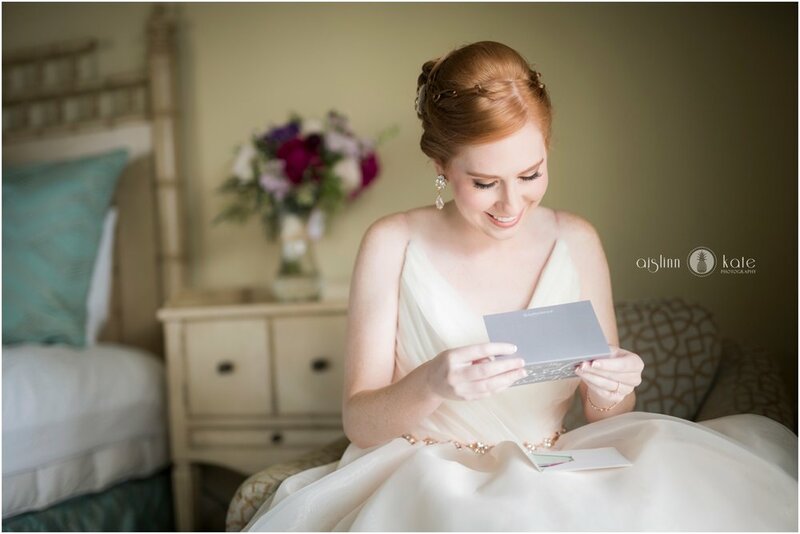 Ashley’s Hayley Paige peach wedding gown was the perfect complement for her fair skin and red hair, and Brent’s gray suit was stylish and smart. 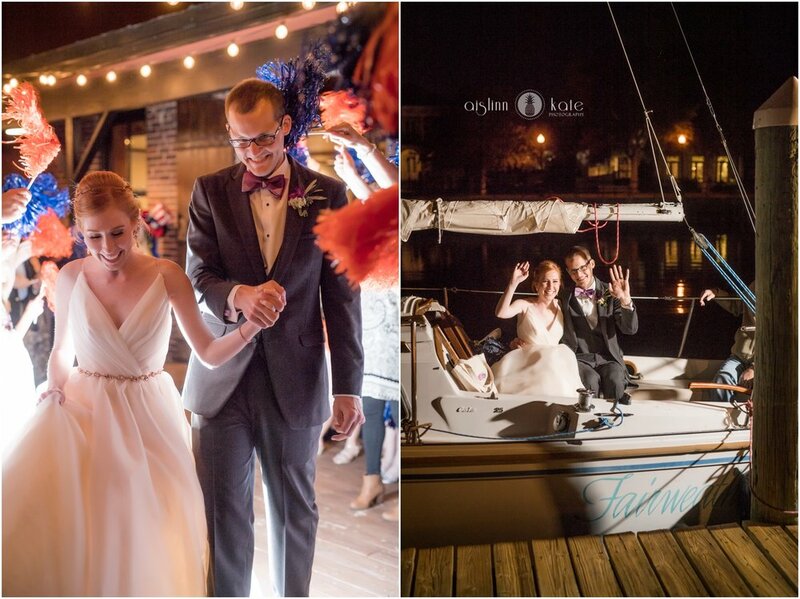 The lush florals were beautiful accents for this Palafox Wharf wedding, and we especially loved the grand exit – by sailboat!